Claire Seneviratne - Ceramic Artist: Porcelain ring with silver and gold. 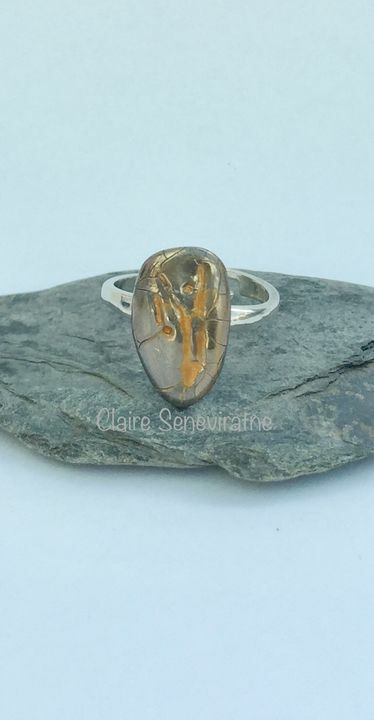 Porcelain ring with silver and gold. Once finished the porcelain stone was attached to an adjustable silver ring band. The band is sterling silver. Height of the stone is 1.6cm.